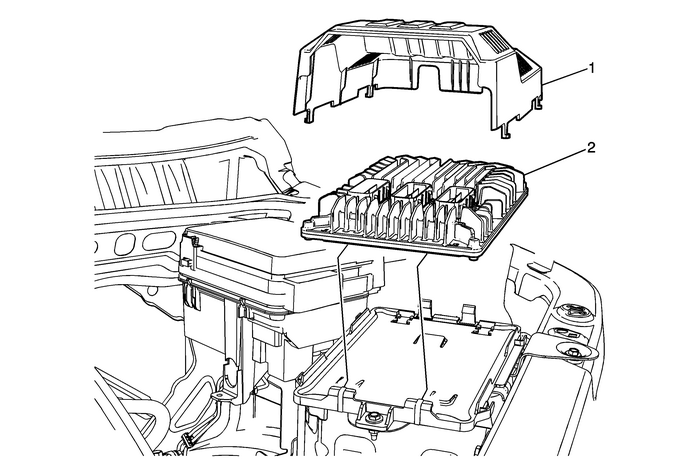 Turn the ignition OFF when installing or removing the controlmodule connectors and disconnecting or reconnecting the power tothe control module (battery cable, powertrain control module(PCM)/engine control module (ECM)/transaxle control module (TCM)pigtail, control module fuse, jumper cables, etc.) in order toprevent internal control module damage.Control module damage may result when the metal case contactsbattery voltage. DO NOT contact the control module metal case withbattery voltage when servicing a control module, using batterybooster cables, or when charging the vehicle battery.In order to prevent any possible electrostatic dischargedamage to the control module, do no touch the connector pins or thesoldered components on the circuit board.Remove any debris from around the control module connectorsurfaces before servicing the control module. Inspect the controlmodule connector gaskets when diagnosing or replacing the controlmodule. Ensure that the gaskets are installed correctly. Thegaskets prevent contaminant intrusion into the controlmodule.The replacement control module must be programmed. Caution:In order to prevent any possible electrostatic dischargedamage to the ECM, do not touch the connector pins. Note:Before removing the engine control module (ECM), use the scan tool to capture theECM data. This captured data will then need to be restored into the NEW ECM. RefertoControl Module References.